Did You Finish Your Last Bag Yet? Here's Five Pounds of Haribo Gold Bears for $9. 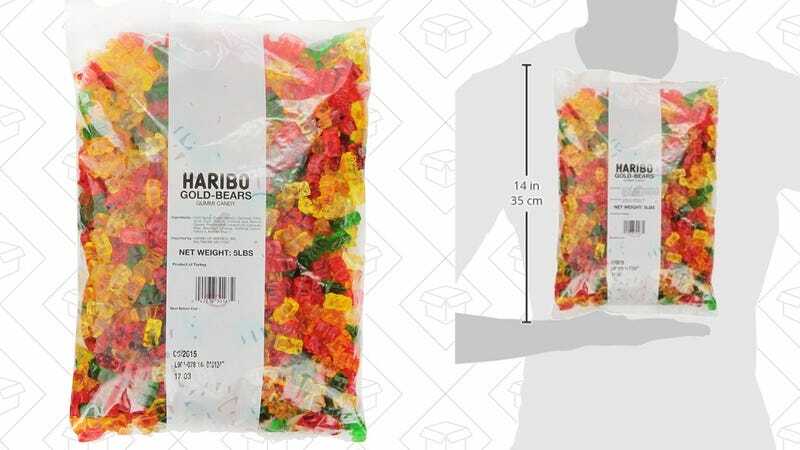 It’s been over a month since the last time we posted a deal on Haribo Gold Bears, so you’ve finished your last bag and you’re ready for a resupply, Amazon’s marked it back down to $9 with Subscribe & Save, or $10 with standard shipping. Just note that while it will ship free with any Subscribe & Save order, buying it separately will require it to be part of a $25 order.